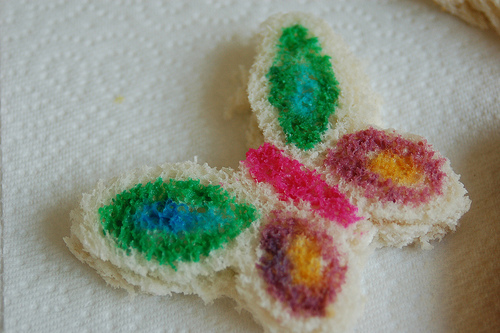 If you are looking for a fun summer activity for the kid or just a way to make lunch more interesting, Bee in My Bonnet will show you how to make edible paints that you can let your kiddos paint their sandwich with. I think it would be fun to take some stale bread that you are going to toss and let the kids cut it with cookie cutters and paint it before you let them feed their work of art to the ducks or birds. You can get the magic edible paint formula HERE.